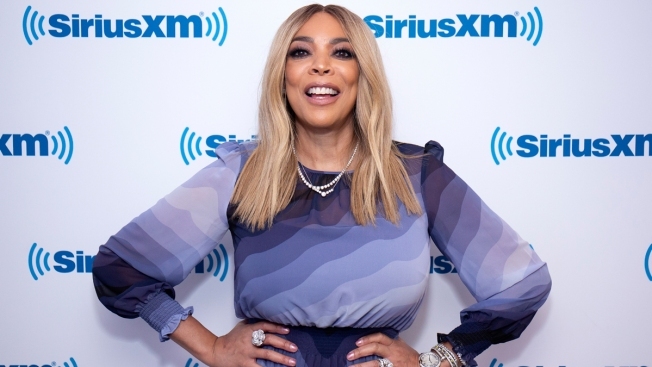 In this file photo, Wendy Williams visits SiriusXM Studios on September 6, 2018, in New York City. Wendy Williams' life is changing following her split from Kevin Hunter. E! News confirmed on Thursday that the 54-year-old "Wendy Williams Show" host had recently filed for divorce from her husband of 21 years and executive producer of her series. Williams' rep could not be reached for comment. It was recently rumored that Hunter, 46, had cheated on Williams and fathered a child with another woman. Neither they nor Williams have commented on the reports. Williams has alternated between wearing her wedding ring and going ringless in recent weeks and did not sport the jewelry piece at the taping of her talk show on Thursday. Back on the show on Monday, the star announced she is moving out of the sober house where she's been living in a few days. "You know I've been dealing with issues with addiction, alcoholism and I have a whole new life that I planned for myself and my son," she said as she was met with roaring cheers from the audience. "Believe me you, when you lay in a room with no TV and four gray walls all day and no telephone...you lay there and you think about your life--this is my life at the sober house--it's one of the best things honestly that could have ever happened to me. Because, you know, when you think about your life, you think about how you've been delivering to the world and especially here on the show," she continued. "You know, it's no secret we're friends and sometimes you don't like me, but either way thank you for watching every day. But you know, you wear a different mask when you're out here. Everybody has...whether you're a secretary or a school teacher or whatever--everybody has things in their life that they're embarrassed to share with the world. Or they're frightened to share with the world. Or they're not ready to share with the world. And addressing my sobriety, my addiction, head on, has really helped me sort out every single compartment of my life." The star did not mention her ex, another indication that she is moving on without him. "I have a commitment to me and my son to come out of here better, stronger and faster than ever. And by the way, I will still commit--because you'll forget about my business any moment now--and then I commit that the motto of this show will always be, 'Their business is our business!' That's right." Williams had previously publicly expressed her loyalty to her husband amid the cheating rumors involving him. Hunter, who shares an 18-year-old son with Williams, has not commented on the breakup. The divorce filing also comes weeks after Williams returned from a two-month hiatus from her show and revealed that she had been living in a sober home for some time.